Celotex XR4000 insulation board range covers the thicker range of Celotex standard insulation boards with the board thicknesses of 110mm , 120mm , 130mm , 140mm , 150mm , 165mm and 200mm and standard board size of 2400mm x 1200mm , 200mm at the time of writing gives Celotex the thickest manufactured PIR board on the market. Insulation Warehouse can supply all of the Celotex XR4000 insulation range, many from stock in any quantities on 2-3 working days for delivery although some thicknesses may not be stocked in which case pack quantities may apply along with a slightly longer lead time. These Celotex insulation boards are made from Zero Ozone Depletion PIR foam inbetween layers of low emissivity foil with a grid printed on the foil which helps as a guide to cutting and for laying out underfloor heating pipework. Celotex XR4000 has been designed with ' cut to fit ' applications in mind , such as between rafters in pitched roof insulation as either a singler layer or as part of a dual layer insulation system , also between joist flat roof insulation. These thicker insulation boards enable the user to achieve higher 'U' Values using 1 single layer. Also Celotex XR4000 can be used for other insulation projects such as Floor Insulation , for underscreed with a TB4000 upstand around the perimeter or suspended flooring applications in between joists. Wall Insulation in either timber framed or steel framed structures and also solid masonry wall insulation applications are other areas where Celotex XR4000 high performance insulation boards can be used to great effect. Celotex XR4000 insulation boards are a great help in making you property eco friendly saving money on energy bills. 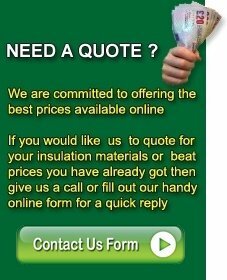 If you looking to buy Celotex Insulation at cheap prices whether your project is large or small then the staff at Insulation Warehouse are on hand to help. We supply only first quality Celotex insulation boards that can be used to meet current building regulations and do not supply seconds that may not hold the correct insulation properties they should and are not guaranteed by the manufacturers to do so to meet building regs. To buy Celotex Insulation or for the latest cheap prices on Celotex XR4000 please do not hesitate to call us on 01793 791010 alternatively please fill out an enquiry form we will respond as soon as possible, please ensure all information is completed.